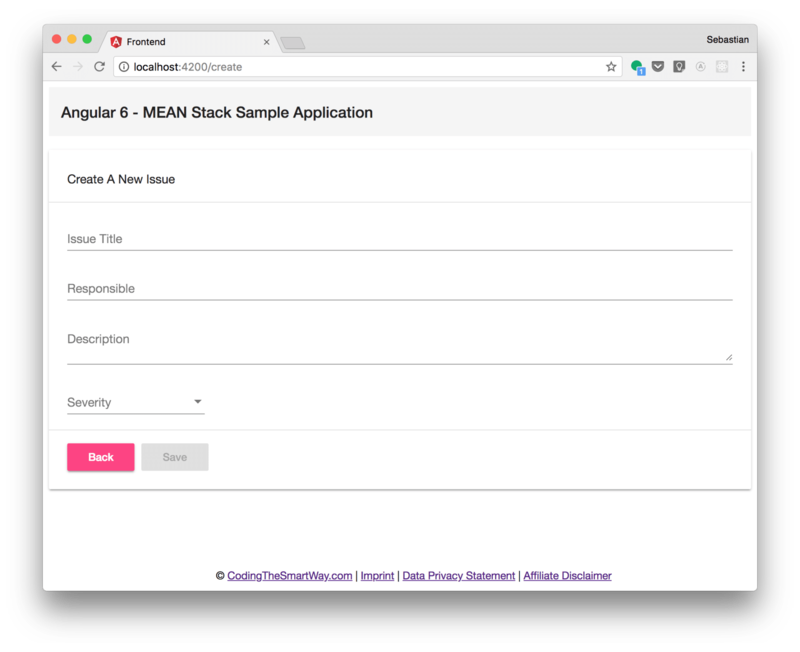 In this tutorial you’ll learn to use the MEAN stack from scratch. 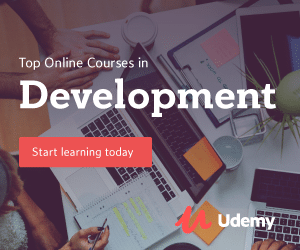 We’ll cover the front-end and the back-end part and by following the steps of this tutorial you will be able to learn everything by building a real-world example from the ground up. 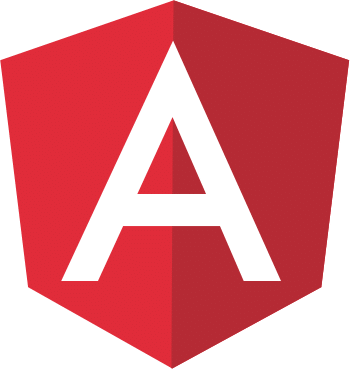 In this first part of this series we’ll be focusing on setting up the front-end Angular 6 project, install needed dependencies and configure the client-side routing. 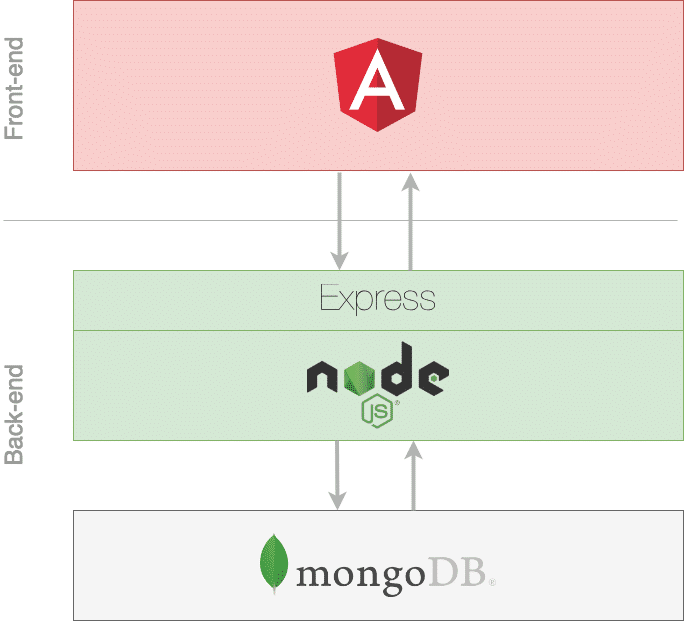 The issue data is stored in a MongoDB database and accessed through a Node.js/Express.js server API. First we need to make sure that Node.js and Angular CLI are installed on the system. To install Node.js you need to go to the project’s website at https://nodejs.org/ find and download the installer for your platform and perform the installation by executing the installer. By installing Node.js on your system the Node Package Manager (NPM) is also installed at the same time. We’ll be using NPM in this tutorial to install dependencies in our projects and to install Angular CLI in the next steps. Having completed the installation you should be able to use the ng command on your system. This command can now be used to initiate new projects, add components to the project, run a live-reloading development web server or initiate the build process. With the release of Angular 6 the new ng add command is available which makes it easy to add new capabilities to the project. This command will use the package manager to download new dependencies and invoke corresponding installation scripts. This is making sure that the project is updated with dependencies, configuration changes and that package-specific initialization code is executed. Now we’re ready to make use of Angular Material within our front-end project. With these three components in place we’re ready to start implementing the front-end application. Let’s first configure the client-side routing. Each Routes object consists of two properties: path and component. 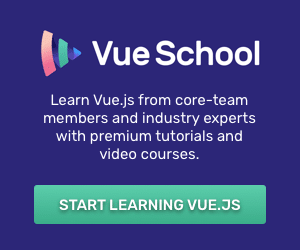 This is connecting a URL extension (like ‘create’) to a component (CreateComponent). Furthermore a redirect is configured from the default application route to the route displaying content from ListComponent. As you can see here we’re using the factory method RouterModule.forRoot to handover our routing configuration. 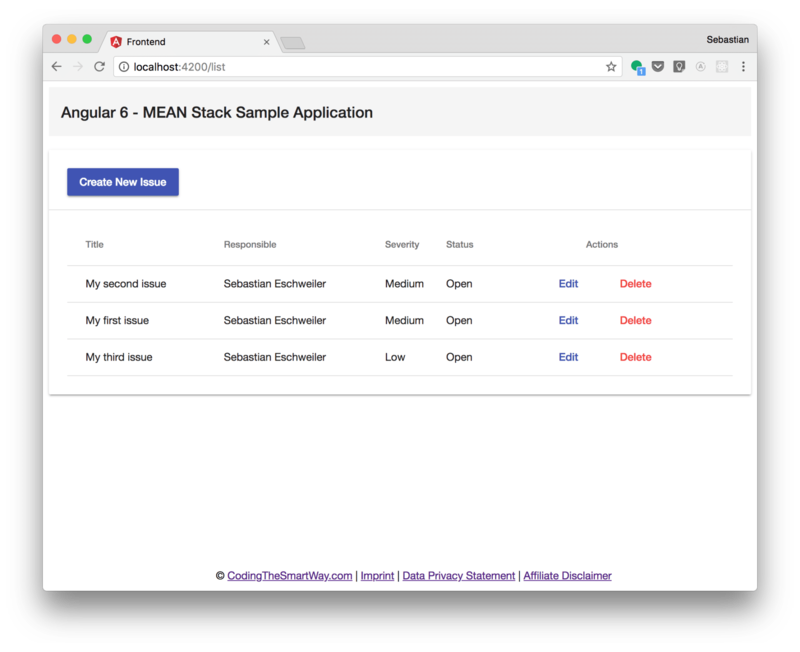 We’ve started building the front-end part of our MEAN stack application by initiating a new Angular 6 project, installing dependencies, adding components and client-side routing. 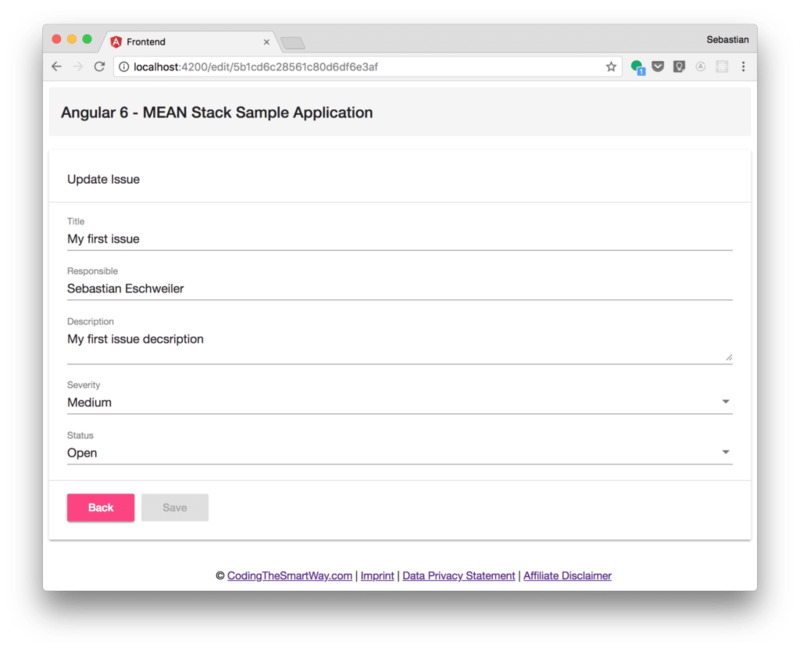 In the next part of this series we’re going to continue implementing the MEAN stack application. 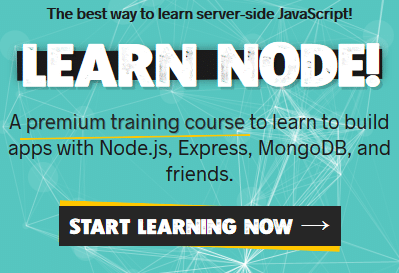 Therefore the back-end project will be set-up by using MongoDB, Node.js and Express.js.